2018 saw some truly noteworthy trends in the UK’s craft drinking habits, with the rise of the NEIPA, a flood of sours and (at last) the rehabilitation of quality lager. But what surprises will 2019 hold? It’s been a real year of ups and downs for British beer. We saw more craft brewers like Beavertown and Fourpure join the ranks of the big brewers, which depending on your viewpoint may be positive – and open up great beer to more people – or just further signal that big beer is slowly sinking its teeth into craft. Meanwhile, the world’s largest brewing company AB InBev opened a Goose Island brewpub in London’s Shoreditch. At the same time, I personally lamented the closure of one of my favourite London beer bars, Mason & Company. And just when it seemed that things couldn’t get worse, in the annual cask report we learned that sales of cask ale are in freefall—down 6.8% year on year. Regardless of your opinion of cask, it is a core part of British beers identity. This startling decline should be a cause of concern. However, it’s not all bad news. Despite leading with the negatives I still feel that the past 12 months have been overwhelmingly positive for British beer. The British Beer & Pub Association now states that there are 2500 breweries within the UK. And while market conditions remain challenging, as the cost of running a business continues to rise, many breweries are still seeing plenty of growth. 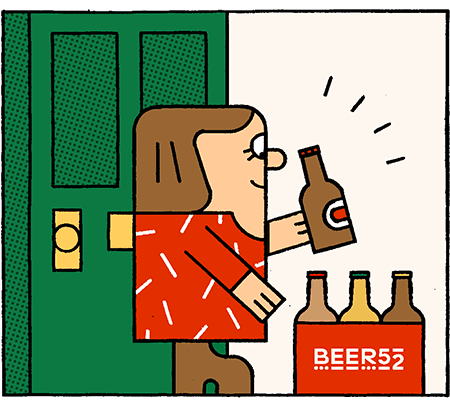 In addition to this we’re seeing more bars, taprooms and bottle shops open—in particular outside of major metropolitan areas—meaning that great beer is arguably more accessible than it has ever been. 2019 presents something of an uncertainty — not least because of Brexit’s looming threat to our economy. However in my predictions for the next 12 months I’ve decided to focus on the positive. We need to be mindful of the problems British beer faces, and actively work towards improving conditions for industry and consumer alike. But mostly we have to remember that beer is there to be enjoyed and celebrated. So here’s what I’m most looking forward to next year. Crispy pints of Pilsner and Helles certainly made their mark in 2018, which was without doubt the year of the craft lager. Breweries such as Bristol’s Lost and Grounded went from strength to strength with its Flagship Keller Pils and we saw plenty of positives from new entrants to the category, such as Hartlepool’s Donzoko. I predict that lager will continue to go from strength to strength in 2019. Especially considering the number of breweries which are expanding, and freeing up capacity so that they have the time to produce quality product. However, I feel that with more lagers entering the category, the breweries producing them will have to be more innovative within the style to capture our attention. That might be from alternative dispense methods such as Czech-style side pour taps or “slow pours,” wherein servers spend five minutes gradually pouring the beer to build up aromatic clouds of foam. Or it may be from investigating the potential held within amber, or dark malts. Bring on the schwarzbier. Despite cask currently facing a downturn, I do believe that this dip is temporary. An increasingly mindful approach from brewers about how they approach the format, who they sell it to, and the training they offer those customers, should inevitably lead to a more positive focus on cask from drinkers. Whether you feel Cloudwater’s return to cask was significant or not, it will undoubtedly lead others toward a similar approach. And let’s not forget Siren, who after winning the Champion Beer of Britain Award for its Broken Dream Breakfast Stout saw sales of its cask beer increase by over a third. I also feel that a fondness for more traditional beers will return. Take Harvey’s Best popping up in some of London’s most desireable craft venues like The Axe in Stoke Newington as one example. Northern Monk serving fresh Timothy Taylor’s Landlord in its brand new Manchester taproom is another. There is plenty of life in the old dog yet. Thanks to pioneers like Burning Sky and The Wild Beer Co. wild and sour beers have become a permanent thread within British beer’s rich tapestry. From this we are seeing an increasing number of breweries focusing on the production of oak aged, mixed and spontaneously fermented beers. Folks like Mills Brewing and Little Earth Project have demonstrated the potential these styles have within the market. And with its Overworks Project, BrewDog will likely take these styles mainstream. But I feel as though this is just a frontier, and that over the horizon there will also be increased interest from beer lovers for natural wines and low intervention ciders—and crucially where these beverages cross over with beer. The idea of saisons blended with cider lees or foudre beers with added grape must really gets me excited. In some ways, craft beer still exists in its own bubble. It’s where the worlds of beer, wine, cider and more blur, that the most interesting future for all of these categories lies, and it’s these boundaries I feel the most innovative brewers will veer towards in 2019. It’s possible many of us will be drinking through a glass darkly in 2019. After years of the seemingly unstoppable rise of pale ale and its many derivatives, there are signs that people are now switching to stout. The omens were there in August 2018 when Siren Craft Brew from Berkshire walked away with the prestigious Champion Beer of Britain trophy at the Great British Beer Festival with Broken Dream Breakfast Stout. The 6.5% beer is rich and complex, brewed with eight malts including chocolate malt, with the addition of roasted coffee beans and lactose. Lactose, also known as milk sugar, can’t be fermented by traditional brewers’ yeast and gives a silky and creamy note to the beer. The award created considerable interest and helped put dark beers back on the map. Shortly before writing this, I sampled a porter brewed by the Italian brewer Ora in collaboration with BrewYork, again using lactose along with dark malts. It’s as tasty as a true Italian espresso, with the added advantage of a shot of alcohol. The revival of interest in porter and stout will be backed by CAMRA’s national winter festival that puts great stress on darker beers brewed for the colder times of the year. Perhaps a few enterprising lager brewers might jump on the bandwagon with versions of the German style known as Dunkel. The year will undoubtedly see greater interest in bottled beers. Marston’s have announced they will be organising a week in 2019 devoted to the promotion of bottle-conditioned beers. The event will be run in conjunction with other brewers, including Moor Beer of Bristol that specialises in cans with live yeast that have won CAMRA’s seal of approval. This initiative will emphasise to drinkers that bottled beers with live yeast can age and mature just as significantly as vintage wines and the ageing process brings greater depth of flavour and character. Proof of this comes with a Golden Edition of the historic, 13% Thomas Hardy’s Ale, first brewed in 1968, and which is alleged to improve for 25 years – I have never managed to put that to the test. Further proof comes from the latest Fuller’s Vintage Ale, an amazingly complex beer and the first to be brewed by new head brewer Georgina Young. A few bottles are slumbering in my cellar and I will do my best to leave them for a year or two. I trust the Marston’s scheme will stop some retail outlets refusing to stock beer “with bits in them”. Of course, the pale ale fervour will not disappear. Determined to keep abreast of the upstarts on the West Coast of the United States, there is a newish phenomenon known as NEIPA – New England India Pale Ale. These are not only tasty brews but are more balanced than some of the ultra-hoppy West Coast versions, with malt allowed to balance the hops. It’s good to find American brewers producing IPAs that don’t make your ears explode with over-enthusiastic hop rates. The success of both sour beer and Saison suggests that brewers will be looking for other European styles to create. It’s likely we will see more and more brewers ageing their beers in wood, aware of the additional depth of flavour wood imparts. Already a few brewers are experimenting with Gose, an almost unknown German style that has associations with Belgian Lambic with the addition of salt. The enormous interest aroused in 2018 by the launch of an English Trappist ale from the monks of Mount St Bernard monastery near Loughborough may encourage both religious houses and commercial brewers to produce more abbey-style beers. And – this is where I came in – the Mount St Bernard beer is dark! The ABV arms race seems to be well and truly over, partly because of the worrying news that young people are turning their backs on booze, perhaps also because the palate of the average drinker is getting a little more discerning, but largely because we’re all bored of getting an Uber home to be sick into a wicker bin at 8pm on a Tuesday. In its place, we have an abundance of ‘small’ and ‘table’ beers; low-ABV brews that nonetheless pack a big hit of flavour and complexity. Having seen how these styles are developing in the US, I confidently predict the best is yet to come, and we’ll see these delicious, isotonic-laden beers being embraced as a relatively healthy, sophisticated choice this summer. I admit, it took me a while to come around to Team NEIPA, but I’ve now bought the jersey and am standing on the touchline every Saturday, screaming at the ref. Once you get over your instinctive reaction that this is a beer that’s gone horribly wrong and judge it on its own terms, it’s a fantastically rewarding style, with the potential to evolve off in all sorts of interesting directions. To be completely honest, we’re still not great at making them in the UK, and their short shelf life means it’s nigh on impossible to get imported NEIPAs at their peak. We’re getting better though, and if 2018 was the year of the NEIPA in the UK, you can expect 2019 to be the year of the good NEIPA. Starting your own brewery is no longer seen as a fast-track to glory and riches. We’ve not slowed down like the US, but 2018 saw a growing acceptance that competition here is getting really tough, and consumers are finding it increasingly hard to get excited about the latest hot young thing. I feel this has come as a bit of a relief to everyone; the stupid question of “where will the next Brewdog/Beavertown/Camden come from” can now probably be answered “it won’t” or, at the very least, “who cares?” Instead, we’re seeing a new crop of breweries who seem to be genuinely happy ploughing their own furrow, focusing on producing interesting (often niche) beer and actively eschewing anything that would take them out of their commercial comfort zone. 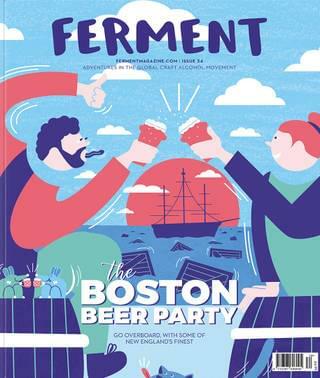 We’re fans of bières sans frontiers, and love being able to get our hands on the best from around the world, but we’re also very happy that localism seems to be making a comeback. People care about getting fresh beer and supporting their local brewery, while tourists seem to be making more of an effort to seek out indigenous brews. Historically, this has been a key part of all the world’s major brewing traditions, so it’s great to see it making a comeback. Will the general level of quality get better this year? Who knows. We still come across far too many UK beers that should never have left the brewery, let alone been exchanged for hard cash. Britain produces many beers that can stand up there with the best in the world, but it’s still pretty hit and miss. If there’s a market cull coming – and history strongly suggests it will at some point – we can only hope quality rises to the surface. Sadly, the one factor most likely to have an impact on beer in 2019 and beyond has nothing to do with beer. At the time of writing, it looks like Brexit is going to have a massive impact on all of us, whether we’re importing, exporting, buying raw materials or collaborating with brewers in other countries. Everyone will manage, I’m sure, and necessity really is the mother of invention, but it’s going to cause an awful lot of paperwork, just so Barry from Great Yarmouth can have a blue passport. Finally, can we all just agree that Brut IPA is the Global Hypercolour shirt of the beer world: it’s got a cool name, we all got very excited about it, but then we realised the idea was vastly better than the reality, and even the idea wasn’t that great. Stop this madness.